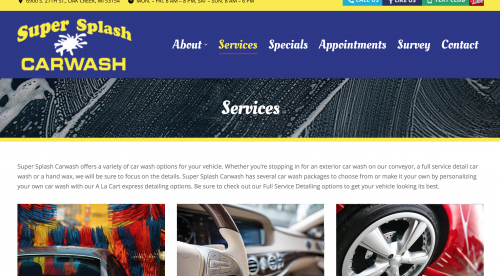 Super Splash Carwash will give your vehicle the best bubble bath in town with our Fresh Water and Brand New Equipment. 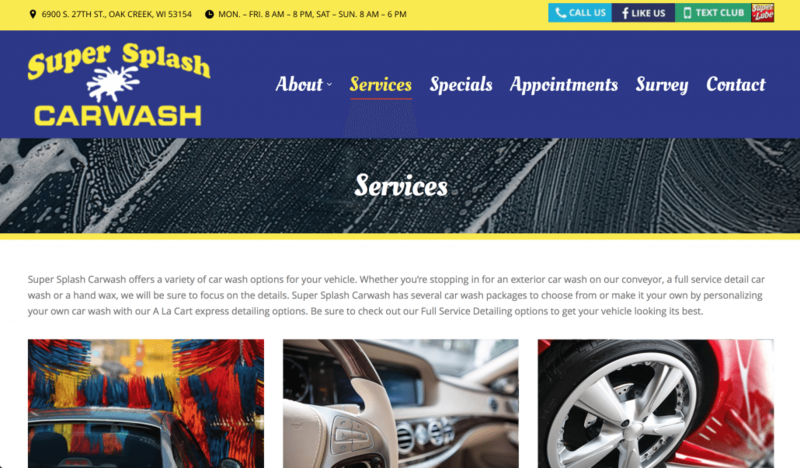 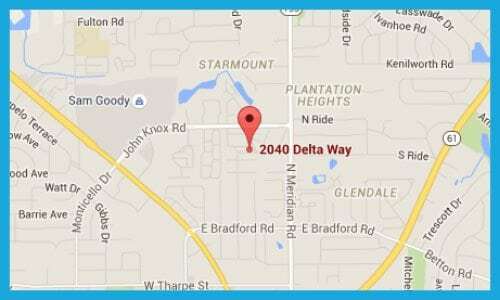 Location on South 27th Street in Oak Creak Wisconsin, we offer a variety of services from a basic car wash to full service detail packages. 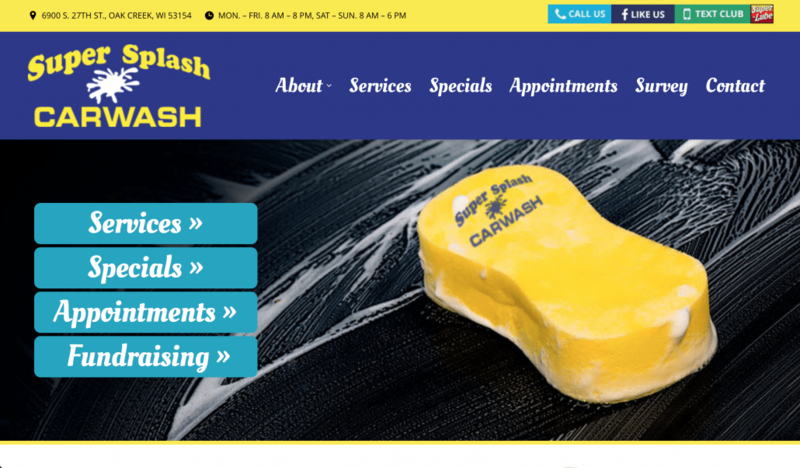 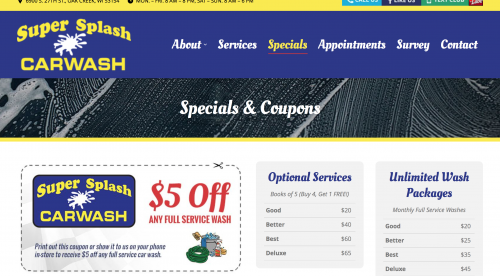 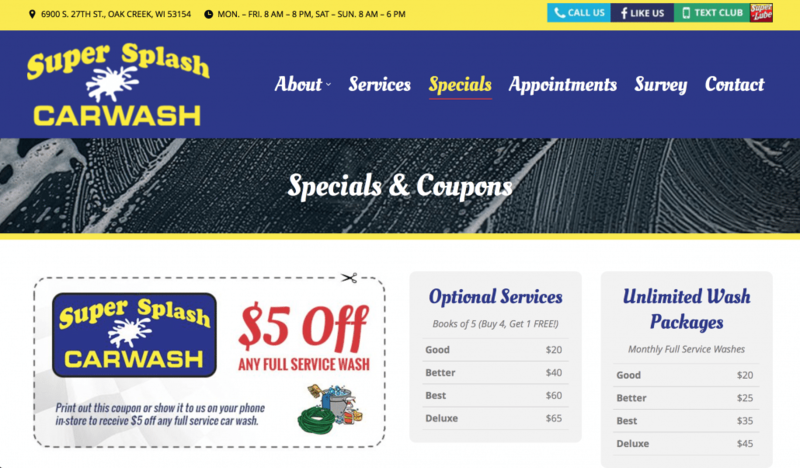 Super Splash Carwash offers a monthly unlimited car wash pass to keep your vehicle looking Super all month long. Our washes will ensure your vehicle a Super shinny clean look.